Vivid magenta silk brings out the colours of Irish flowers, both at the market and in the wild. 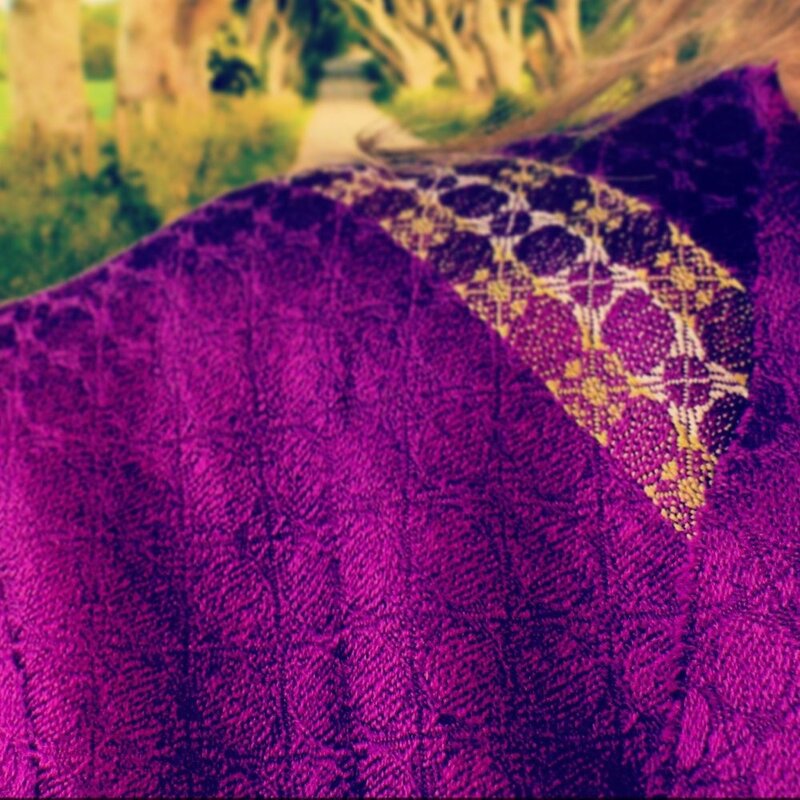 Olive green and magenta silk create the effect of sunlight on the tiny flowers that bloom in summer. Magenta and gunmetal blue silk combine to create the sheen of an Iris flower at night. Sky blue and magenta silk create the effect of sunlight through the petals of an Iris at dawn. This bold magenta silk changes colour in different light, showcasing the nuance of light in nature. These purple and lavender silk scarves are ideal gifts for mother-of-the-brides, bridesmaids, and wedding anniversary or retirement gifts for her. Each of these stories is also available as a silk self-tie dickie bow, and make the perfect gift for the man who wants to stand out. They are also perfect for wedding ties for the groom and groomsmen.